As a person interested in genealogy, you are probably already acquainted with federal population schedules. These census enumerations have been compiled once every ten years since 1790. Missouri became a state in 1821, so its first federal population schedules were compiled in 1830. Censuses prior to 1850 only list heads of household by name; other household members are merely statistical hash marks. Beginning in 1850, every household member is listed by name. 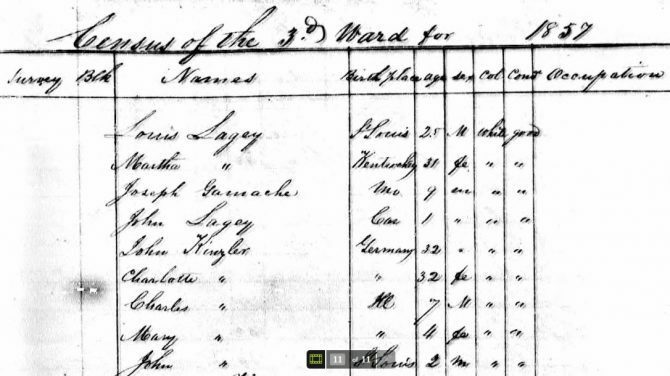 Special census schedules were compiled in 1850 and 1860 to enumerate slaves: slaveholders are listed by name, while slaves are only statistical hash marks. Did you know, however, that some states compiled censuses of their own inhabitants, generally in years between the federal censuses? Why do so? In some cases, state censuses were designed to collect economic and agricultural data; count school-age children, men of military age, and potential taxpayers; and provide a count of free and enslaved black persons within a state’s borders. In other cases, state officials felt that the federal census had undercounted state residents, and that an additional, more accurate count might increase its number of representatives in Congress, and/or revenues received from the federal government. Ancestry Library Edition (Ancestry LE) provides access to state censuses for the following states (sometimes a county of interest may not be available for a particular census year). 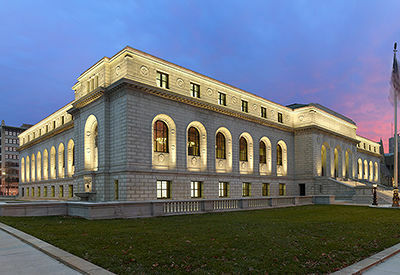 Ancestry LE may be used for free at Central Library and our branches.